Vietnam era naval aviator Commander Randy "Duke" Cunningham was in Louisville on Friday preparing to attend the Wings Over Winston Airshow. Through mutual friends, Cunningham was afforded the opportunity to visit with Winston County's own aviator hero, W. Pruitt Lee, who co-piloted bombers in WWII. Lee, who is a resident of the Winston County Nursing Home, flew 29 bombing missions over Europe before his aircraft was shot down over Holland. He attributes his survival to the daily prayers of his wife and of his church family throughout the war years. Commander Cunningham flew 300 missions over Vietnam as a Navy aviator and was the first of only two pilots to qualify as an "Ace" after downing five enemy aircraft. Here's What You Need to Know - New 911 Addresses!!! 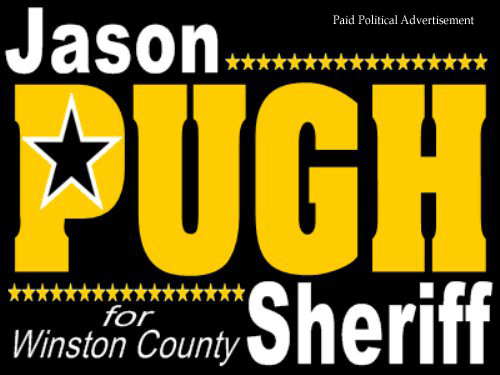 address have begun to arrive in mailboxes across Winston County. Any changes to something as vital as addresses can create uncertainty and turmoil and as a result, rumors and misinformation can become prevalent. WWN has reported detailed information concerning the need for and the processing of the new addressing system since 2013. The Golden Triangle Planning and Development District (GTPDD) was awarded the contract to complete the 911 project in 2013 after obtaining a $200,000 grant from the Appalachian Regional Authority (ARC). The April 2014 storm resulted in delays in the project until this year. Information on Wings Over Winston!!! Live at The Lake Saturday October 1st. Burnt Orange Studio, City of Louisville, Chamber of Commerce and Lake Tiak O'Khata proudly presents. Comprised of Mark Goldbeck of Jefferson City, MO on piano and vocals, Fernando Alois of Caracas Venezuela on guitar and vocals, and Bubba Cheese (aka Michael Freed) of Baltimore, MD on drums and vocals. United at Mississippi State University in the early ‘90’s the trio has played throughout the southeast in various bands and combinations for nearly 25 years including Memphis’ Beale St and New Orleans’ House of Blues and Tipitinas. Tres Gondoleros is an offshoot of their most recent collaboration, The Gondoliers, which performs as a five-piece band and has recorded the 2011 EP “On and On” and contributed original tracks to the 2012 Golden Triangle compilation “Hodgepodge” and to the 2016 compilation “After Bethel” all available on iTunes and most other online music outlets. 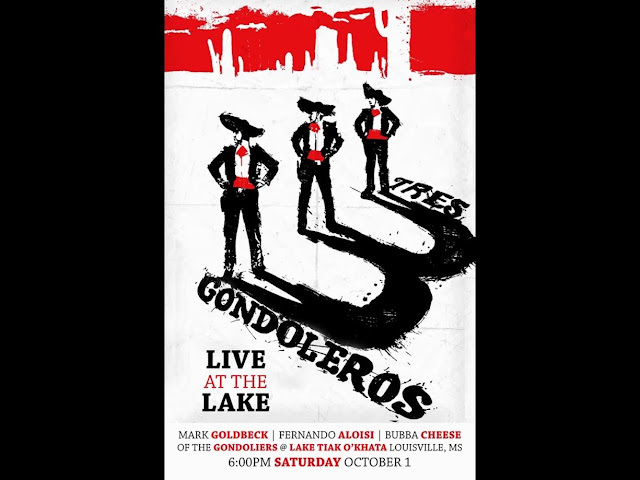 Tres Gondoleros performs a variety of classic and modern rock covers as well as samples of their original works. Buffet at 5:30pm and music starts at 6:30pm. Live at The Lake is free to enter, so have a nice dinner at The Lake then step outside to the pavilion for some free live music. Drinks will be served. Local employer Polo Custom Products announced Monday a planned expansion that should bring 30 additional jobs to Louisville. With Governor Phil Bryant in attendance at the facility in Louisville, company executive Karla Clem announced a $150,000 expansion. The plant currently employs 160 workers locally. Clem said, "It means a great deal to our associates, to the city, to us and our customers. We’re excited to be able to commit to at least 30 jobs and have lots of opportunity for even further expansion beyond that." Governor Bryant showed his support for the expansion and continued economic development across the state. "I want you to remember how much it means to all of us, how much it means to know that it is manufactured in America, that it is manufactured here in Mississippi so all the world will know we can continue that great tradition of manufacturing process that made America strong." The company is the total source for original equipment manufacturers in the medical, fire and safety, government and defense and industrial markets along with products for Harley Davidson. 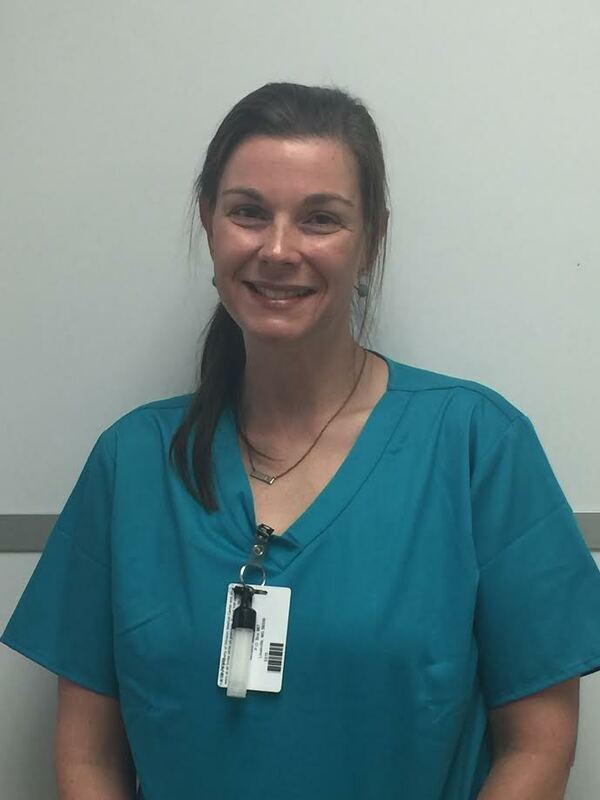 Winston Medical Center recently awarded Lisa Luke, Respiratory Therapist with "Employee of the Month." Lisa resides in Neshoba County. She is married to Donnie Luke and they have a daughter, Ashton Luke. Lisa has been employed at Winston Medical Center for two years. Employees are nominated based on their overall performance by his or her peers. The term "PASSIT" stands for performance, accountability, stewardship, service, and teamwork. Performance- Lisa's performance in the workplace is outstanding and exceeds far above and beyond her specific point of care. Her dedication to her job and fellow employees is truly unmatched. Her kind and gentle spirit and her willingness to help others is what sets her apart. She wants to be busy! She is committed to making Winston Medical Center the best place for their patients. Accountability- Lisa always has a positive attitude and works well with others. She is a woman of integrity and is always aware and willing to help all departments, as well as her own, work together for a common goal, to have quality outcomes for all patients. Service- Lisa is always ready and willing to be a servant to others. If she identifies the need she will go above and beyond her call to duty to help others, even cleaning up without being asked! She truly embodies a spirit of volunteerism. Stewardship- Lisa is dedicated to Winston Medical Center but more importantly she is dedicated to doing everything possible to help every patient. She does not see a patient as a specific department but treats them as though she is there to help care for all patients. Lisa does her job with a smile and an honor to be a part of the Winston Medical Center team. She gladly shares her time and abilities to help other employees and departments deliver better quality care for our patients. Integrity- Lisa is honest and strives to do what is best for her patients. She encourages others by example to do things "the right way", with integrity. Teamwork- When Lisa is not working in Respiratory, she assist in the Emergency Room, Radiology department, and wherever else help is needed. She is there to help whether it be changing beds, cleaning floors, or assisting with patient admission. 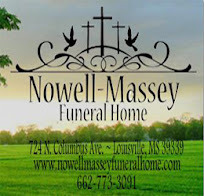 I have personally witnessed and have had several of my staff to mention Lisa very favorably. She is truly the definition of PASSIT and an example of what we would like every employee at Winston Medical Center to be like. Winston Medical Center congratulates Lisa Luke for being our Employee of the Month. 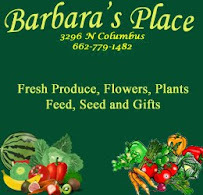 The speaker for the Winston Garden Club's September meeting was Harry Tabor. 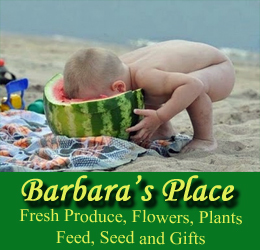 He is shown here with garden club member Brenda Tabor. Mr. Tabor spoke to the Garden Club about what's new at Legion State Park and also hummingbird migration. Brenham, TX - Blue Bell Ice Cream is voluntarily recalling select products produced in its Sylacauga, Alabama, plant because they were made with a chocolate chip cookie dough ingredient supplied by a third party supplier Aspen Hills, Inc., due to the potential for it to contain Listeria monocytogenes. 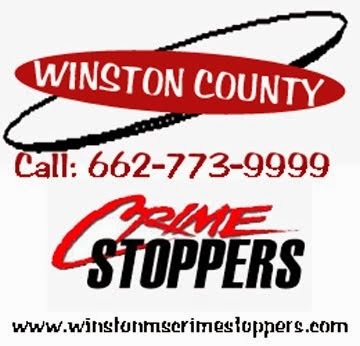 The Winston County Sheriff's Department is asking for the public's help concerning a pair of burglaries that occurred in the early morning hours of September 19 on Brooksville Road in the Singleton area. Best estimates indicate that the thefts occurred around 5:00 am. A similar theft occurred in the Crystal Ridge area as well. A Kawasaki 4-wheeler,Stihl 440 magnum chainsaw, Stevens 12 gauge shotgun, severally cordless drills ( Dewalts and a Skil), Cordless Sawzall, Almost new Dewalt 7" grinder, Dewalt compact router, a large amount of hand tools and wrenches, Pulsar nx550 scope, Bushnel digital monocular, almost new pair of camo knee Muck boots size 13, an assortment of game cameras and hunting clothing. If you have any information on these crimes, please contact the Winston County Sheriff's Office at 662-773-5881 or the Winston County CrimeStoppers at 662-773-9999. JACKSON, MISSISSIPPI- (September 20, 2016) – Today, the Mississippi Public Service Commission unanimously encouraged existing utilities, telecommunication companies, and entrepreneurs to take advantage of $99 million dollars being made available over the next ten years by the Federal Communications Commission’s Connect America Fund Phase II auction for expansion of rural broadband as released in FCC Public Notice DA 16-908 on August 10th. The Public Service Commission is tasked with certifying the eligibility of companies participating in the funding and assists in administering the fund from a state perspective. Wally and Sharon Bennett of Bennett's Do It Center in Louisville are shown here making a donation to the Louisville Police Department for the purchase of additional body cameras for officers. Police chief L M Claiborne said that Bennett's has always been a supporter of the police and we've always been very appreciative of that. 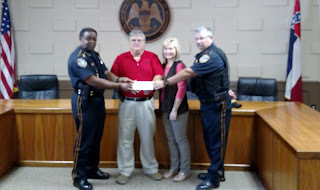 Shown here is Chief Claiborne,owners Wally and Sharon Bennett of Bennett's Do-It Center and Assistant Chief Andy Taylor. For more information, call 662-773- 4320 or stop by the shelter located at 110 Thompson Street. News Release: The East Central Community College football team brought home its first win of the season after traveling to Poplarville to take on the Pearl River Community College Wildcats in a MACJC South Division opener. The Warriors pulled out a 35-21 victory over the Wildcats by taking advantage of turnovers. Sophomore defensive back Juwon Hayes-Keyes of Taylorsville High School picked off three Pearl River passes during the contest. Pearl River got on the scoreboard first in the game on a 10-yard touchdown pass on its opening possession. Hayes-Keyes got his first interception during the Wildcats next possession to put the Warriors in scoring position. East Central then had a 25-yard touchdown run by freshman Antonio Gibson of Eagles Landing (Ga.) High School, who had a notable performance at running back, to tie the ballgame at seven. Gibson also plays wide receiver for the Warriors. 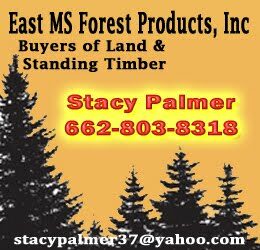 Early in the second quarter, the Warriors turned the ball over on their own 15, but the East Central defense held and Pearl River missed a 31-yard field goal to keep the game tied at 7-7. 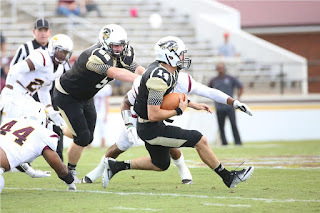 Gibson carried the load on an 80-yard drive capped by quarterback Dom Marino's nine-yard touchdown run that gave East Central a 14-7 lead. The Warriors did not hold the lead long when Pearl River returned the ensuing kickoff 93 yards for a touchdown. 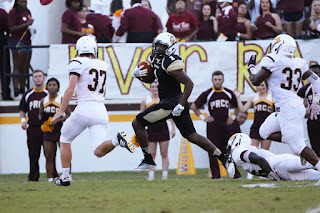 East Central responded on the next kickoff with an 86-yard return by Devonta Jones of Morton High School to the Pearl River nine yard line. Running back Dwayne Barnett of Harrison Central High School then found the end zone on the next play to put the Warriors back on top 21-14. This was a priceless moment at the library yesterday. Three year-old Mason Miller is reading to us from his favorite library book, The Book With No Pictures, an international award-winning children’s book. His mother, Angie Miller looks on as he reads (or, rather, sings) his favorite page. Children get to sing the words on each page – any way they want to – and the pages are made up of crazy, mixed up words, which makes the book hilarious for children or adults to read, or sing out loud. Mason read his favorite page to us about ten times! 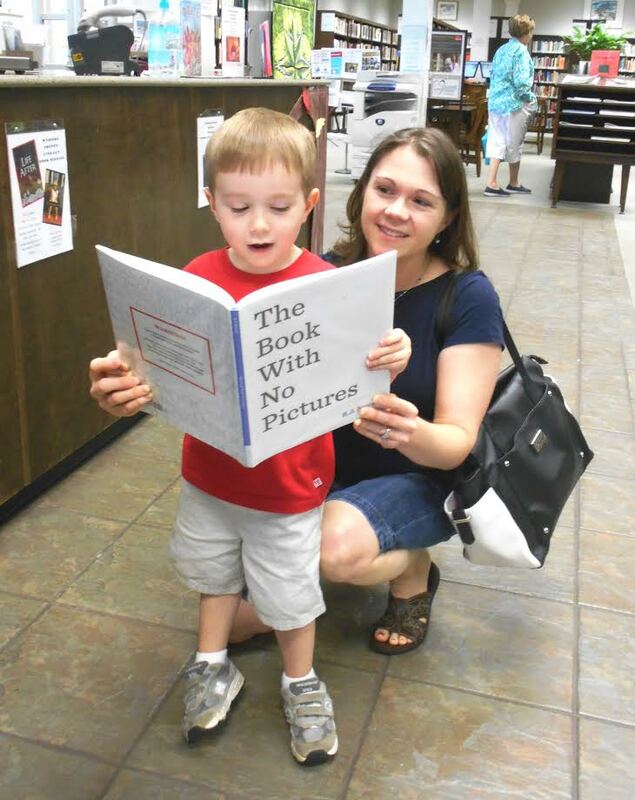 “Angie told me he has checked this book out over a dozen times,” said librarian Beth Edwards. 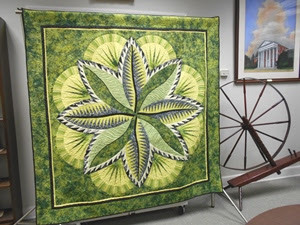 This gorgeous quilt was pieced by local quilter Martha Dubard and quilted by Eileen Eskridge. It is called “Fire Island Hosta”. 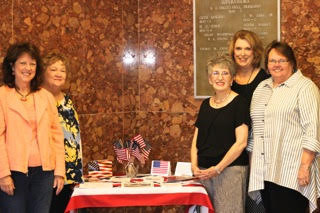 It is on display in the Winston County Library throughout the month of September. 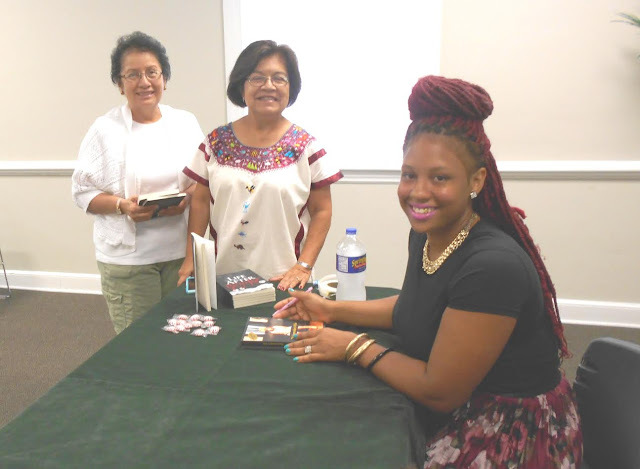 This is a picture of local author Starr I. Coburn (right) signing copies of her books The Ironworker’s Wife and Life After Murder. Jennie Morell (left) and her sister Ramona Robertson, who was visiting from California, attended the book signing. Pictured back l to r: Pam Kirk, Ramona Hughes, Paula Fulton, Charlotte Cornish, Deanie Graves and Peggy Crawford. The tradition of celebrating the Constitution was started many years ago by the Daughters of the American Revolution (DAR). In 1955, the Daughters petitioned Congress to set aside September 17-23 annually to be dedicated for the observance of Constitution Week. The resolution was later adopted by the U.S. Congress and signed into law on August 2, 1956 by President Dwight D. Eisenhower. The United States of America functions as a republic under the Constitution. This idea that men had the inalienable right as individuals to be free and live their lives under their own governance was the impetus of the American Revolution. Today, the Constitution stands as an icon of freedom for people around the world. All citizens across the country are encouraged to take time during the week of September 17-23 to reflect on our heritage of freedom and come together to celebrate America. As we commemorate this document's profound impact on our everyday lives, may we as Americans strive to uphold its vision of freedom and justice for all. During Constitution Week, and throughout the year, let us resolve to stay true to the spirit of patriotism and to preserve the United States of America. Accepted the recommendation of Zoning Board to approve the petition for Use Permitted on Appeal from Diane Edmond to permit a daycare center at 308 West Oak Street. Gave the property owner 14 days to clean the property at 402 South Columbus. Gave the property owner 14 days to clean the property at 106 Hunt Street. Airport Business: authorized the Mayor to sign an amendment to the MDOT Multimodal Grant for improvements to the hangar area apron, increasing the grant from $122,785 to $125,800. Accepted the low bid from Century Construction for $1,672913 for Landfill construction. Discussed potential pursuit of grant funds for a historic marker for center point of Louisville, original wagon spindle location . Approved the Budget for 2016-2017 at approximately $4.3 million. A good night for football!! The Louisville Police Department is asking for the public's assistance in locating Bethlyn Dubose - pictured here. Also known as "Poo" or "Pooh", Dubose is wanted for credit card fraud. If you have any information on her whereabouts, please contact the Louisville Police Department at 662-773-3511 or Winston County Crime Stoppers at 662-773-9999. Officials in Winston County continue to work to establish fire grading districts across the county. The Betheden fire grading district was established recently. They are now working on establishing a fire grading district for the volunteer fire departments at Nanih Waiya, Shiloh, East Winston, High Point and Mars Hill. The only remaining volunteer fire departments which will be considered at a future date are Lobutcha and Noxapater . The petitions to establish these fire grading districts have been in place and there are sufficient signatures and ultimately these districts will need to be incorporated. After discussion the Winston County Board of Supervisors voted to establish a public hearing on October 3 to further the process. The goal for fire grading districts is the hope to lower the fire grade rating which will in turn provide the opportunity to reduce insurance cost for home and property owners in that district. The Louisville Police Department responded to a call this morning at 823 South Church Avenue. Sometime in the early morning hours or late on Wednesday evening an individual or individuals broke through a gate at Bennett's Do It Center. The perpetrator came into the lumberyard and stole a trailer and a Traeger grill. The estimated value of the trailer was $750 and of the grill was $1,900. 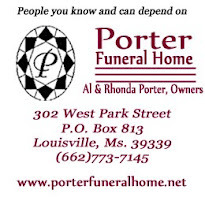 Louisville Police Department is asking members of the public that if they have any information related to this crime please contact them at 662-773-3511 or contact Winston County Crime Stoppers at 662-773-9999. The deadline is quickly approaching - September 15 - but you've still got time to submit an entry. Please see all the details at http://friends-of-noxubee-refuge.org/photography-contest/ and get your entry submitted. The Winston County Supervisors were briefed on the status of the Louisville/Winston County Airport by Airport Board President Mike Forster today. Forster noted that the hanger project that is under construction is 90% complete at this time and should be completed by the end of the month. This hanger is to be leased by Taylor Air and will house one to two jet aircraft. Forster also noted that the ten-year strategic plan for the airport has been recently completed and will help with future planning. Forster also took the opportunity to invite the supervisors to the October 1st Wings Over Winston Air Show. He noted that air show drew more than 2000 spectators last year and as a result they plan to have more food vendors and bathroom facilities in place for this year’s air show. Forster also provided some information about grant funding and plans to resurface the non-runway portions of the airport. 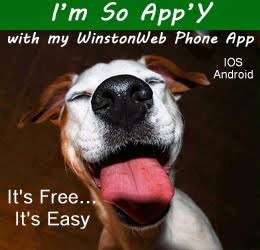 The upgrade of the radio communication system in Winston County appears to be a reality. Today Winston County Supervisors opened bids for the lease purchase financing of a new radio system. After review, the board approved an agreement with Bancorp South for a five-year lease purchase at 2.06% interest for the amount of $6,143.91 per month. This is based upon an amount of $350,000. Later in the meeting, supervisors heard from Emergency Management Director Buddy King who indicated that the State Wireless Communication Commission had approved their plan as of last Wednesday and that the tentative cost for 150 Motorola handheld units and two dispatch stations with 4-channel capability each would cost $344,163.29. These units would have a three (3) year warranty. One mil has been added to the upcoming county budget to help pay for this, however, he noted that it may be possible that some of these costs may be reimbursable through FEMA or MEMA funding for hazard mitigation causes. King noted that there are several organizational things that need to be completed, including proper programming of the radios for the different departments and decisions on the dispersal of the radios and responsibilities. Radios could be purchased and be available for use in as early as 6 to 8 weeks. 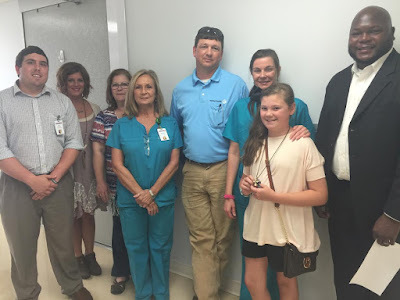 The Winston County Supervisors received an update on the hospital construction project today Tuesday, September 6, 2016 from Justin McDonald with Yates Construction and Paul Black, Hospital Administrator. McDonald noted that the basic infrastructure is in place at the site, asphalt has been placed on most of the roads that are in progress and there are two roads yet to build. He then updated the Board on the construction progress of the numerous buildings involved. He indicated that the administration building already has the air conditioning turned on and interior work is in progress and should be completed in December. Interior work is also in progress on the 18,000 square foot clinic structure and it is on schedule to be completed by the end of the year. The hospital rough-in work has been done and sheetrock work is beginning. The hospital itself is on schedule to be completed sometime in March 2017. McDonald also noted that three community homes are under construction as well. Two are on or ahead of schedule and one is slightly behind schedule but should be completed in time. He also noted that the budget for the project is in good shape and that the program is actually slightly under budget at this point. The new hospital facility is being constructed to replace the old hospital that was damaged in the April 2014 tornado. 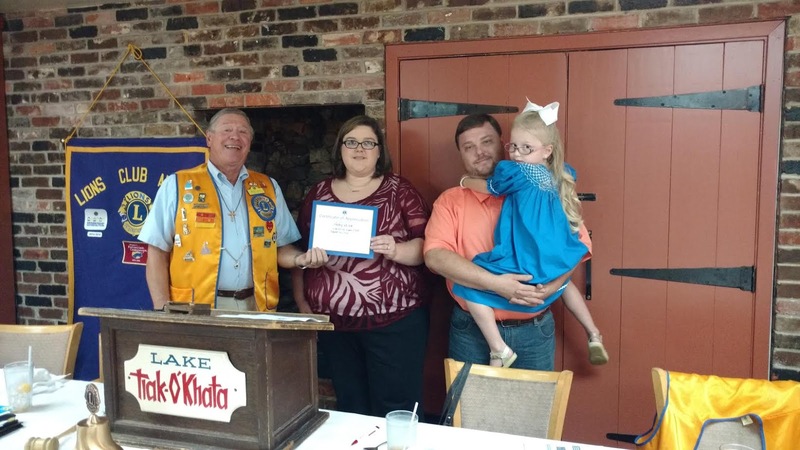 The Louisville Lions Club welcomed guest speaker Amy Miller, husband, Bradley and daughter, Aubrey to our meeting on August 16, 2016. The Millers took the opportunity to thank the Club for the eye screenings performed on a regular basis for 1st & 3rd graders in area schools and at health fairs in Winston County. It was through one of these eye exams that Aubrey was referred to an optometrist for an eye exam. The examination found that she had a cataract in one eye and corrective measures were taken. Amy told the club if it had not been for their referral that Aubrey would have lost her sight in that eye. September is National Library Card Sign Up Month and everyone who signs up for a new card will get to put a leaf with their name on it, on the Library Tree. The tree is located at the Circulation Desk. 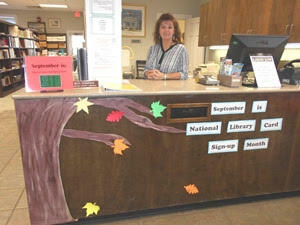 “Last September over 30 children and adults signed up for new cards,” said librarian Beth Edwards. “This year we’d love to have 50 new patrons!” Children under 18 should bring a parent or legal guardian, along with their social security card to the library to get a new card. Also, every child under 18 who signs up for a new library card in September will receive a free coupon compliments of Hardees for French fries. The East Central Community College Warrior football team lost a hard-fought ballgame in front of a standing room only crowd during “Black-Out” night at Bailey Stadium” Sept. 1 on the Decatur campus. 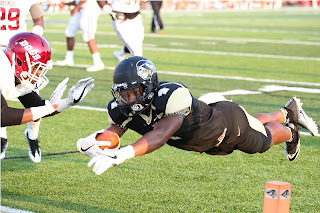 The Warriors scored two touchdowns in the fourth quarter to close the gap, but eventually fell to the Holmes Community College Bulldogs 48-40 during opening week of Mississippi Association of Community and Junior Colleges play. September is National Library Card Sign Up Month! 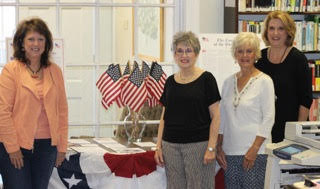 The Winston County Library encourage's everyone who does not already have a card, to come by and sign up for one! Especially children who have turned 6 and can write their name. Parents need to bring their child/children to the library, along with the child’s social security card. A library card is a ticket to see and explore the world!